Here’s what Carol had to say: “The mats are wonderful and very substantial in thickness. 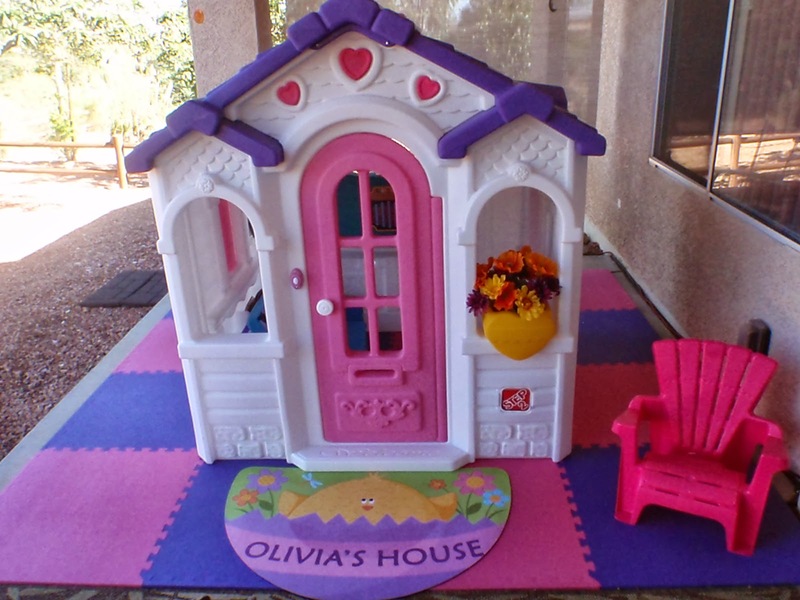 My little grandaughter’s playhouse could be on the cover of a magazine….. What a color match! The samples you sent were spot on perfect. Thank you, Carol. We appreciate your business! If you would like more information on our foam mats or any of our specialty flooring products, give us a call! 877-822-6622. We’re always happy to receive positive feedback. This is a letter from Randy who purchased our Home Sport and Play Mats a couple weeks ago. They’re on sale right now and come with free shipping! “My wife and i have a 2 year old son (Jack) and another little boy due any day now. Realizing that winter is around the corner I decided Jack and I needed a safe place to run around and play indoors that would be out of mom’s way. Our basement is partially developed. There’s a small “man cave” with a big screen tv and some pinball machines but the rest of the basement is a painted concrete foundation and lots of shelving. The tiles are vibrant, thick, provide great padding and are “customizable” with a few swipes of a box cutter. But best of all, they have warmed up our cold basement because of their insulation properties. As for installing them, i think i spent an hour experimenting with a few layout options. But about 30 minutes actually installing all of them. Cutting the tiles to fit around shelf legs and corners was super easy. All i used was an old box cutter and a yard stick. I didn’t run into any challenges other than the fact that i should have ordered about 5 additional tiles. So what I did to cover a few gaps was get creative and connect a bunch of edge pieces together to fill in spaces that could have used a larger tile. I would definitely buy these tiles from greatmats.com again and I’ve already told my sister about them since she and her husband just had a son and want to develop a play space in their basement. Oh and i forgot to mention i love how easy they are to clean. One of our cats decided to cough up dinner on one of the tiles and it was super easy to wipe up, then pull up the tile and give it a scrubbing outside with the hose. Plus it air dried in no time. Thank you, Randy. We’re happy that you’re happy! Ask any athlete and they’ll tell you: You don’t want to be injured in competition and you REALLY don’t want to be injured practicing. Nowhere is this truer than in martial arts where a poorly aimed throw or an awkward fall can sideline or even end a career. If you don’t have the proper exercise mats to practice on at home, you are taking chances with your safety. With our convenient Home Sport and Play mats you can enjoy the benefits and safety of a professional-quality martial arts and sport floor in a convenient 2×2 Ft foam mat size. They are perfect for home gyms and home sporting activities. This 7/8” mat is offered in 6 colors. Each mat has two colors: they are double sided and double colored. This reversible interlocking design allows for two colors from one mat to be up at the same time. They are great for martial arts as well as a number of other applications. 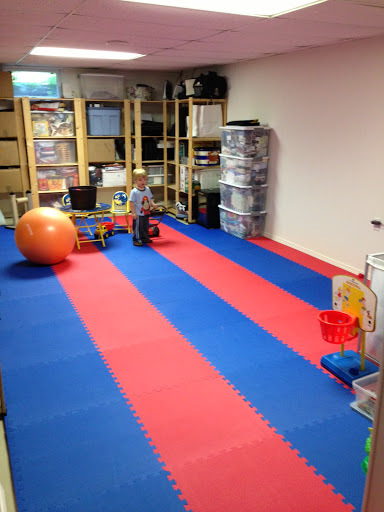 Use Home Sport and Play mats for kid’s rooms, floor exercises, aerobics, kickboxing, or any other place you need a soft, stable floor. These exercise mats provide fatigue relief. They are remarkably easy to install and to pack up for installation. Easy, interlocking edges allow you to create a stable and soft workout area in minutes. Simply piece these foam mats together and you’re done. Tight fitting seams resist dirt buildup. When you’re ready to move the floor, all you have to do is pick the mats up and stack them. They are lightweight and the handy 2×2’ size makes them easy to transport or store. Home Sport and Play mats are odor free. They are non-toxic, lead and latex free and you don’t have worry if one of your kids spills a drink on them. These mats are waterproof. Edges are non-beveled and will not present a tripping hazard. Should you decide this particular foam mat is not perfect for your application or budget, we hope you’ll consider another of our other foam mats. 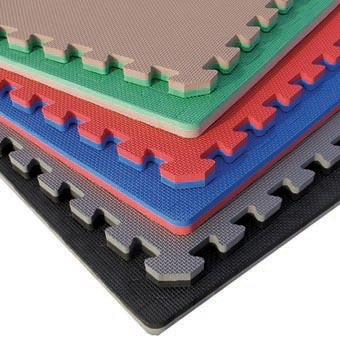 We offer a comprehensive line of interlocking foam mats with some starting as low as 99 cents per square foot. Some foam mat products even come with free shipping. If you have questions, please chat with us online, send an email, or call our friendly customer service center to speak with one of our flooring experts.